Hair Anxiety....Does everyone see my problem? Hair Anxiety….Does everyone see my problem? If you suffer from anxiety from your hair, then you are not alone. Hair anxiety can make you feel like everyone can see how you feel, and that certainly can raise your level of anxiety. You are the only one that will personally know if you have experienced hair loss or hair thinning. You can expect lose approximately 100 to 150 hairs a day. If you have a cowlick then you already know some of the struggles that having one can present, or maybe you have not been consulted with to know that you could possibly have options? 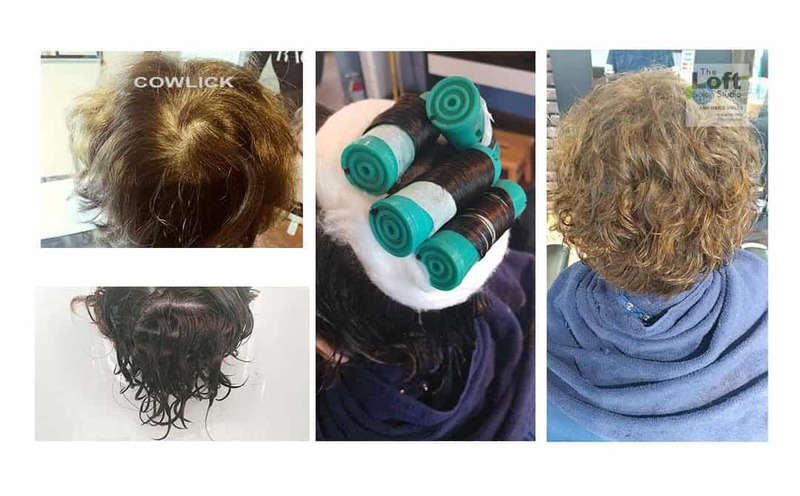 The photo shown is an actual photograph of a client who has been struggling so much with their hair. She was aware that her hair would split in the back, but really thought it was due to hair loss, and really was unaware that it her hair anxiety was being caused by her cowlick. As you can see, a cowlick has a mind of its own, and it is because of the growth pattern. 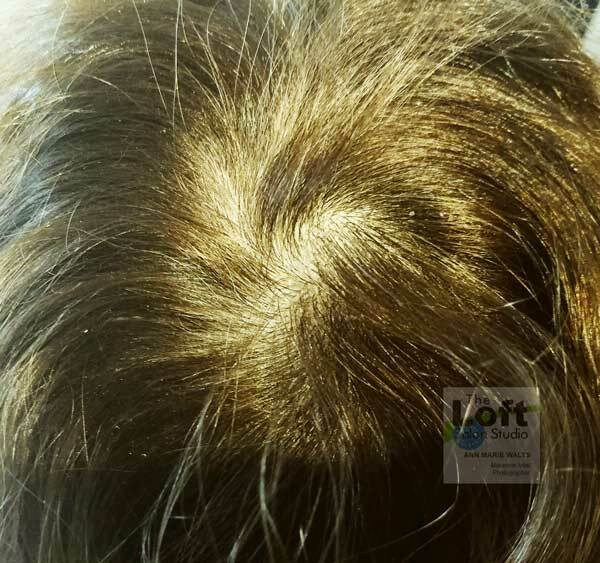 The hair follicle are positioned at a slant and the hair is growing out in a swirl. Due the different directions that her hair is growing out of her head, is the cause of her hair splitting at the top of her head. After assessing her problem, I made the professional recommendation that she have her cowlick chemically corrected. I provided a spot body root lift perm. I wanted to intentionally redirect her hair. It is really important for you to find or be comfortable with you hairstylist to share with them how you feel. Sometimes you may really just need someone to truly listen to you about your hair. 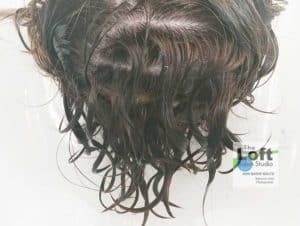 What to do is you can see your scalp? I highly recommend a product called Derm Match. It is not something that I sell or get a commission on. It was through consulting with a client, that she introduced me to the product. There is nothing wrong with adding a depth of color to your scalp. In fact, what is the difference between using a cosmetic like eyeshadow to enhance your beauty? There is nothing more rewarding than to know that a you do not have to be licked by your cowlick. Does everyone see your problem? No, not as much as you think and your emotions are trying to tell you. Kick your cowlick to the curb, and share this with your hairstylist; if you are not in my immediate area.